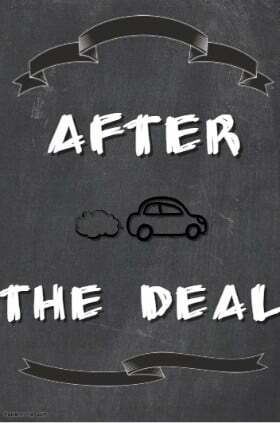 After you are finished negotiating your lease deal, you are free to enjoy your new car! However, the important decisions that you need to make about your lease do not end there. When you are getting to the end of your lease, you have to decide what to do with your car. You can simply return the car to the dealer and move on, but there are other options available as well. You could choose to purchase your leased car, trade it in to use its equity for a new lease or purchase, or even just extend the lease for a few more months to give you more time to decide. You may also find that you want to get out of your lease before the whole term is up for one reason or another. This section of the guide will look into each of those options in depth. This is the easiest option, and requires the least research and work on your part. Call your leasing company a month or so before the end of the lease to schedule the lease-end inspection of the car. The leasing company inspector will point out any serious issues that you might be charged for, giving you the opportunity to fix them. Then, once that is done, simply bring the car to the dealership where you purchased it or, if you are no longer living in the same area, another dealership of the same manufacturer. They will then formalize the end of the lease. Your only liabilities in this case are the disposition fee, if that was part of the leasing contract, and any over-mileage and wear-and-tear charges, which you should know about based on the inspection. Those are subtracted from your security deposit, with the remainer being credited to you once the lease is formally ended. If you did not have a security deposit or the charges exceed it, then you will get a bill for the difference. While many people think that you have to return the car in pristine shape, leasing companies are usually fairly lenient when it comes to normal wear. Only if there is clear damage, such as large scratches on the exterior or tears in the upholstery do they charge you for repairs. Of course, any damage that inhibits the car’s function, such as burned out lights or worn tires, will definitely be repaired at your expense. Since the charges for repairs are based on dealership prices, it is in most cases cheaper to get the repairs done yourself before returning the vehicle. Not many buyers are aware of this option, but many leasing companies allow you to extend your lease on a month-to-month basis for a limited period of time. After informing your leasing company, you simply continue making the same payments and driving the car. Usually you can only extend your lease for at most up to three or six months beyond the original term. While this can be a good option if you need a little extra time to arrange a new car or have a major life change such as a cross-country move coming up, it comes with some drawbacks. Your payment remains the same, but it is based on the car’s average depreciation over the term of the lease. At the end of the lease, the car will depreciate much slower than that average, so you are essentially overpaying for the depreciation. The residual value of the lease also remains the same, so if you choose to buy the leased car or trade it in, its market value will be lower while the residual value will remain the same, often resulting in negative equity and making both of those options worse. Extending your lease can be a powerful tool, as long as you are mindful of the drawbacks. 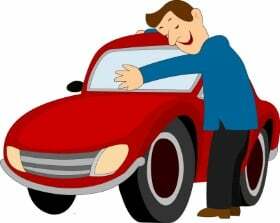 If you find yourself falling in love with your leased car and just can’t see yourself parting with it at lease term, then you have the option of buying it. The residual value, which was used to calculate your lease payments at the start of the lease, is also the pre-negotiated price at which you can buy your car at the end of the lease. If you choose to buy the car, you will also avoid the disposition fee and any wear-and-tear or mileage charges from the leasing company. Depending on the market for that particular type of used car, as well as its condition and mileage, that could be a good deal or a bad one. If the car’s market value is higher than the residual value, then buying your lease out is a much better deal than trying to buy a different used car of the same year, make and model. However, if the car’s market value is lower than the residual, then you will pay more for it than a similar car and are better off just returning it to the leasing company. There are a few more things to watch out for when you are buying out your leased vehicle. First is that you will, in most states, be taxed as if you purchased a used car, since you are in fact buying it from the leasing company. You will also need to re-register it in your name. If you choose to finance the purchase, you will be treated as if you are financing a used car and pay the higher interest rates that this entails as well. Depending on the market conditions, you could save a lot of money by buying out your lease, but only if you were already planning on purchasing a similar used car. It is rare that the savings from buying out a lease are good enough that they justify going with your second or third choice of a car, though that decision ultimately depends on your own preferences. Ironically, the best lease deals are usually the ones with high residual values that end up higher than the car’s actual market value at the end of the lease. This can make buying out your lease a fairly unattractive option if you’ve gotten a great deal at the start of the lease. When the leased car’s market value is higher than the residual value, the difference is referred to as positive equity. If you have positive equity in your lease when it comes to the end, you can take advantage of it by buying out your leased car at a discount from the market price. However, if you don’t want to keep your car, you can take advantage of the equity by trading the car in instead. Car dealerships are often just as interested in being able to buy a car below market value as consumers, and are willing to give you the difference as trade-in credit towards a new purchase or lease, or even a different used car. You can negotiate your car’s value the same way as any other trade in, after subtracting the amount that the dealer will need to pay the leasing company for the car - the residual value. This is a great option and offers you a lot of flexibility, but it requires you to have positive equity in your car. If your residual value is higher than the market value, just as in the case of buying out the vehicle, it makes more sense to simply return the car and let the leasing company deal with that liability. In most cases, you should plan on seeing your lease out in full regardless of what your plans are at the end of the lease. However, there are some cases where you may find that you need to get out of the lease early. In general, that is similar to selling a car that you still owe money on, with the primary difference being the early termination fees and how the amount you owe is calculated. 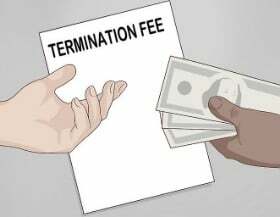 The terms and conditions of early termination vary from leasing company to leasing company, but in general you can expect to have to pay the remainder of all of your lease payments plus any termination fee. You will also have to cover the cost of any negative equity on the vehicle. That is the difference between the market price of the car and the residual value. All of this can easily make ending a lease early a very financially unattractive option. There are, however, several other options that may be available. 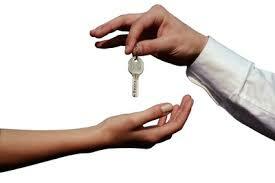 Many leasing companies allow you to transfer your lease to a different person. This also involves fees, but does not leave you on the hook for all of the remaining payments. If this option is available in your state and with your leasing company, it could be a good way to get out of a lease early if you can find someone who finds the terms of the lease attractive. However, as the original lessee, you may still hold a degree of responsibility for the vehicle and might face penalties if the new lessee misses payments or otherwise violates the terms of the lease. 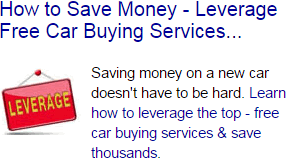 You can also simply sell the car to a dealership or a private buyer. If the payoff amount - the remaining payments plus the residual value and any early termination fees - is less than the market price at which you can sell the car, you can simply use the proceeds to pay the money you owe on the car and keep the excess. 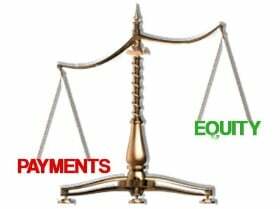 Alternatively, if you have negative equity - owe more on the lease than its market value - then you can still sell it, but make up the shortfall from your own bank account. In general, it is very rare for it to be worthwhile to end your lease early, simply because of the large financial penalties that it entails. Some of the methods above can be a good way to minimize that expense in the case that you absolutely need to get out of the lease before it is up, but it is best to plan ahead and not find yourself in that situation in the first place.